Welcome to The Haiku Foundation’s Seventh Renku Session. Please join me in the making of a Jûnicho and in making this collaborative poem an enjoyable experience for all involved. John Carley’s ‘Introduction to Renku’. The number, ‘hundreds’, links to the ‘pair’ of parrots, who perhaps fell, too, as they walked along, inebriated, under the vine. The falling leaves might be from (what I see as) someone’s back or front yard grapevine. Nice use of ‘monochrome’ to link with parrots, many of which, by contrast, are bright with primary colours. An evocative image of stark trees under a low, brooding sky where the only movement seems to be that of the bare branches, scratching at the grey. The change is to a sombre, somewhat oppressive mood. There is a lingering sense of the uncanny, as well: the bare trees seem almost animate. An excellent verse. I love the physicality of that urge. Who hasn’t had such urges, long after childhood has passed? The link is to the ‘letting go’ and playful indulgence of the parrots. I probably would’ve changed “the long since urge” (awkward!) to something like “that urge again”, but since the verse required ‘no human presence’ I couldn’t select this verse. Beyond the issue of naming of a colour (in consideration of our upcoming summer flower verse) such an urge can only be that of the verse’s persona, a human presence. Great verse, though. After corking, wine, especially red wine, can become infected with certain bacteria which give it a musty smell — somewhat damp and stale, like in old, unaired houses. A similar smell can be carried by fog. Here, we’re at a vantage point above the valley in clearer air, but smell the fog as it rises from below. Like the verse above, the change to a distant scene works well. Another excellent verse. We move from colourful parrots to the grand stage of autumn colour, when everything deciduous turns to multiple shades of red and gold. We have a sense of abundance and the swift movement of time here, too, as it seems every time we look, the colours are rushing in “more and more”. (This movement is quite Keatsian.) The link is to a place relating to the parrots, too, as there are usually vines and shrubs in an arboretum along with trees. Beautifully done. Perhaps the link is in the sense of being ‘spent’ and the possible ‘tumbling down’ of the drunken parrots? We have a river or stream and (probably salmon) spawn that have come loose from the sand where it was laid and is no longer viable for life. I love the longing for warmer climes this verse conveys. The poster links well to the parrots, which are often associated with tropical and sub-tropical regions where palm trees grow naturally. My reservations have to do with the fact that the verse selected for this autumn verse spot will be uchikoshi to our summer flower verse. I feel that even on a poster ‘sun’ and a suggested warmer climate would foreshadow our summer flower verse. An interesting link to the alcohol-consuming parrots. The psilocybin in certain mushrooms is a very different kind of mind-altering substance. I was hoping Agnes would return to tweak this one. As is, it appears that these ‘shrooms’ are blue in colour, which is misleading. (The stems can show blue bruising due to handling and drying.) There is, however, one species known as ‘blue meanies’, which occur naturally in many world regions. (They are not blue, before being picked etc. but greyish beige . . . yes, I am a survivor of the late ‘60s – early ‘70s) I feel it would’ve been better to name them. Still, I’d have reservations about colour, even in the name, because of the summer flower verse which is the verse after the next. This verse suggests a rural place, perhaps a small, self-sufficient farm with grapevines and a few cows and horses. It also links to our maeku by wordplay in L1. “On the wagon”, being the common colloquial expression that applies to someone who has given up drinking alcohol after being regularly “on the booze”, links immediately by wordplay to our maeku. We’ve not had this sort of linkage in this renku before so it’s great to have one included now. 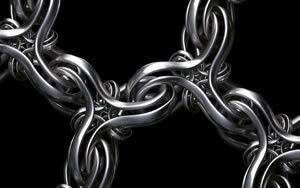 A variety of manners of linking is always desirable. But we mustn’t stop there. The wordplay is only part of the linking. The form of Carol’s succinct verse supports its content: a spare image of “a few bales of straw” on a farm wagon speaks of the diminished mood that later autumn carries. (Note that it’s straw, not hay. Such a well-chosen word!) There is nothing to lure or allure us here. After the richness and abundance of images in our renku to date, after our maeku’s parrots who’ve had too much of a good thing, there is a strong change of mood in this verse. The poverty of things that is almost emptiness is conveyed. I imagine a small farm in a rural area. It may be the very place that the parrots in the previous verse found such enjoyment in but the scene is now deserted. There are no people, no animals and no activity. No sense of movement or life. I can imagine a wind that might blow through this emptiness, through the wagon and the few (last?) bales of straw and through the reader, who becomes the observer. As in Wallace Steven’s winter poem, ‘The Snow Man’, Carol’s autumn verse draws us to behold “Nothing that is not there and the nothing that is.” This state of awareness calls for but goes beyond sobriety. Carol’s verse has the kind of poetic light touch the later Basho called karumi. It is made with admirable skill. Well done, Carol. Renku is about the ’10,001 things’. In a 12 verse renku, we can touch on only a few. Also pay attention to variation of syntax/ expression. Avoid verbs in the present tense and progressive/ continuous tense if you can. The ABC for this verse: (A) Please avoid any seasonal reference. (B) Link to our long autumn verse (our maeku). (C) Shift from the last-but-one (our uchikoshi). Enjoy the challenge of moving our renku forward. Please, if you wish to post a revision of any verse you’ve posted previously , use the ‘reply’ function at the bottom of your original post, NOT the submissions box at the bottom of the thread that reads ‘Leave a reply’. Please post your submissions before midnight Monday 5th March Eastern USA time. (New York time) That’s the deadline. I find the World Clock handy. I look forward to reading everyone’s submissions. The selected short no season verse and instructions for verse 9 will be posted next Thursday morning: March 8th New York time. I really appreciate Lorin’s clear and creative explanations of this form. A wonderful verse from Carol! Enjoying catching up, Lorin, as I have no wifi where I’m staying at the minute. Thank you for your lovely comment, Jackie. Much appreciated. Lorin, I think it’s ok for me to offer this third verse since we scratched my first…? If not, please disregard. Thinking ‘camos’ might seem too general to be plural. Congratulations, Carol, for your brilliant verse. I appreciate Lorin’s splendid comments. Thank you very much Pravat, your comment is appreciated. that ended with van Gogh having to enter a sanatorium. Carol, there is depth in your few words! Carol, there is depth in few words! It’d have to be a specific vigil in a specific season to return to hokku. Congratulations, Carol, on your verse and how much was in the spare phrases. Or substitute  “climate change” if I must avoid the ‘ing’ altogether. Carol, a clever and excellent verse. Congratulations! Lorin, your choice is perfect here. Love your autumn link, Carol & Lorin! as masterpiece for film classes? Micheal, “gone gone all the way” potentially makes for a very interesting link to Carol’s verse. Is this what you intend: “Gate, Gate, Paragate. . .”? Thich Nhat Hanh translates the Heart Sutra‘s closing Sankrit mantra as: “Gone, gone, gone all the way over, everyone gone . . .
Ajaya, we can’t have flowers until the next verse and ‘scarecrow’ is usually considered to be an autumn kigo. When I was a kid, I couldn’t work why the implied cattle drovers in the theme song seemed to be herding dogs! Where I am, it’s the dogs that do much of the work of ‘keeping them rolling’. 🙂 Yes, Betty. As I got older, I understood. But as a kid watching ‘Rawhide’, I didn’t. Thanks, Lorin, for mentioning my verse–even though it missed by a mile ☺! Hey, Judt… hmmm . . . contemporary (and good) as this is, wouldn’t Tlingit count as a foreign . . . even alien. . . language? I’d be happy if others would weigh in on this one. Well, Lorin, I suppose so. Invariably some element sails right past my head. Living, as I do, on the Pacific Northwest Coast of N. America, it doesn’t seem foreign or alien to me. (And I love how the word feels in my mouth ☺) Maybe it could change to ‘native’? Variety is king. It can be good variety to shorten a verse for contrast. I like it too. The words have more meaning. Too long? draws attention to itself, I guess. A lean or spare stanza is often done in kasen nowadays, too. Just not too often. Good verse, and good stuff about it Lorin. Thanks for your confirmation, Paul. I did weigh it all up, carefully. There were many good verses, but this was the one for me. Thank you Paul, I’m glad you like the verse. Whoops… it’s early in the morning here. I read “Tlingit” but thought ‘Klingon’. . . a ‘Star Wars’ language! (People do speak it.) See me blushing! Now I see that ‘Tlingit ‘ are a people, just as ‘Wurundjeri’ are a people and that you say “Tlingit spruce root basket” just as I’d say “Wurundjeri possum-skin cloak”. It’s apparent to me that in calling for “people (plural)” I needed to be clearer. I did mean ‘plural’, but you’ve interpreted this as including the collective: “a people”, as you’ve used the term. trophy wives, shoppers, stamp collectors, a crowd, an audience, film buffs, kindergarten kids, amateur painters, home renovators, tv addicts, gun-slingers, joggers, chess players, old people, bag ladies, tent dwellers, vagrants, haiku group members, readers, gossips, neighbourhood thugs, hikers, mothers, a family, high school students, strangers,  . . . and on & on. People, not a people. Judt, let’s scratch this one with the name of a people (& another capital letter, which I’d prefer to avoid). You’re welcome to replace it with a new one altogether. Others will have the advantage of this clarification. Foreign words, in general argument not about this renku or this verse, can be thought of in different ways. This is a renku WITH Sabaki, so the last word is Lorin’s. I am most familiar with writing as a team, a democracy. Can be via E-mail or in person, live as it were. 2,3,4,5 Sabakis. Cannot do it on a list or blog. In my experience a proposed verse is accepted by each of the other players before it is written down, and covered (by the next verse). Most renku friends would have objected to another “transportation” verse. Then we would talk about it; the author would defend it. If widely spaced  in renku of 20 or 36, might be accepted if it goes in a very different direction or tone. A  Japanese master like Shinku Fukuda-san was very strict  as opposed to Western tastes. To say a word or topic, is to say it. period. Yet as a commenting judge he was more forgiving. In English language, just what is a foreign word?. Much of our language is made of “borrowed words.”   Haiku itself is one such, chili another, then pasta & spaghetti — from Italy. These would not fall into the category. British English adopted from India, France, etc. some even found its way to Australia, no doubt (grinning). Bloke? Native Americans had/has many tribes and languages … Tlingit is both. I knew it, but it is obscure (not a problem in renku all the time). We could have a “sauna” verse and not be bothered by foreignism. But there is an interception of taste and rigidity. Up to a Sabaki, or to the democratic will of a small group. A side note about kasen variety… some groups have often prized one very long word (a fairly regular English word) for its variety. Cries of “good one” might follow… something as long as a dozen or more letters. Laughing now, instead of magician doing tricks… why not prestidigitator? ONCE. Our little joke. One more attempt to be funny:  This week I read in a political column a perfectly apt word for a certain male political figure NOT an elected one — sent me to the dictionary. Is both a French word and a long word  —-> Have fun. Paul, there are those in England who consider one of their Princes’ bride-to-be a rastaquouère. Chauvinism is not limited to any one national or ethnic group. It’s everywhere. But see my apologetic embarrassment, above, about confusing Klingon (definitely an ‘alien’ word, since it’s a language spoken by the inhabitants of a non-Earth planet, or so I read.) with Tlingit. Also my explanation that by ‘people (plural)’ I didn’t imagine that anyone would interpret that to include the name of a people, or even a  group of people known by a name, eg. ‘The Bombers’ as it refers to a team of people who play football . . . (Australian …formerly Victorian… Rules football.) (Or the ‘Miami Dolphins’, ‘Los Angeles Chargers’ etc. in your football) or your political groups, ‘Democrats’ or ‘Republicans’. Would wheelbarrow be out? What does  ‘vehicle’ actually mean to the Japanese? How are we to interpret the category given as ‘vehicle’ in the first Renku Home list of ‘Topics and Materials’? (it doesn’t appear on the second) I really don’t know. Is there a difference to the Japanese between vehicles used to transport things and vehicles used to transport people? Between vehicles used for leisure, vehicles used for transportation of goods, vehicles used as farm equipment, vehicles used in wars? (There is no category titled ‘transport’ on those lists, anyway, just ‘vehicle’, which is pretty wide. A postcard can be a vehicle for expressing thoughts and feelings.) And other categories that might or might not be relevant to ‘vehicle’: ‘travel’ and ‘boat’. If a boat is not a form of transport I don’t know what it is. Does ‘travel’ exclude ‘vehicles’? That would seem unlikely to me. If we had ‘house’, would ‘silo’ or ‘airport’ or even ‘shop’ or ‘department store’ be out? If we had ‘car/ automobile’ would that rule out ‘roller skates’, ‘tractor’ and ‘combine harvester’? How about a ‘humming bird’ and the ‘rheumatology wing’ of hospital? How about a beer can and an automatic rifle? Things can get ridiculously forensic. I’m much in the dark about the meaning and scope of these Japanese ‘Topics and Materials’, so I’m winging it, interpreting them as well as I can. I’m no expert. But I’d appreciate it if you’d not continue with comparing your private renku-writing groups, with their small, pre-selected participants (most of whom are your fellow USA nationals) with these THF renku, which are open to all who wish to participate, from all around the world. Hi Lorin, just to say many thanks for defending my verse with such gallantry. It certainly is an eye-opener when reading  the comments. I hope others in my position, with regards to learning this genre, read them also- there is much to learn by doing so. Over six centuries, Japanese renga /renku writing groups were highspirited. In the 17th century, the Dutch were able to stay in Japan in the southern island and Basho wrote a haiku or two on the Dutch, but none of the Dutch were invited to renku groups. Basho had disciples he taught and the same names come up in Basho’s linked-poetry. In the latter half of the the 20th century, a small group of people started, AIR, the Association for International Renku in Japan. I was able to practice renku with the Japanese and non-Japanese residents of Japan, including Australian, Canadian and American poets. Guests from Europe such as Romanian Ion Condrecu came to visit. Whether we are of the same nationality or of many nationalities each renku group is something precious. Ok, no problem. I guess I kind of misunderstood ‘tribe’ in the intro. Also, I rather think of people who ‘do eBay’ — sellers and bidders — as plural people…? I’lll try to reword the verse. Yes, sellers and bidders are “people (plural)” in the way I intended. What a brilliant surprise, many thanks Lorin for choosing my verse and the wonderful explanation. I’m absolutely over the moon 🙂 I will continue to follow this session with interest. Always learning. -its these two verses (messenger-wastepaper) that set me thinking about a connection for over indulgence, hence, on the wagon. Not always easy to see the connection when starting out, and on times, right in front of your face. I hope this will be of help to other newcomers such as myself. ps. its a very good book. Wow, that’s interesting, Carol. So you’re actually on a farm (or something along those general lines, rural). You’re in Wales or somewhere near it, aren’t you? I live and work on a farm in South Wales, bit nippy at the moment. Since you mentioned about syntax, I’m going back over the books of the poets you mention above, and many others when I first discovered this genre last year, and seeing their words with new eyes. Fascinating journey. That’s fascinating. No wonder your verse has such presence. This would most often occur in summer, though, wouldn’t it, Polona? The fire season. And this verse will be <i<uchikoshi to our ‘summer flower’ verse. … “followed” by our summer flower verse, I mean. And that verse is our only summer verse. ‘An excellent verse,’ high praise indeed from such and experienced poet. Thank you, Polona. I did wonder if someone sharp might query wagon. 🙂 Even though in context ‘wagon’ is clearly a hay wagon (a farm implement) and in Carol’s verse it’s not going anywhere, I considered ‘wagon’ carefully in relation to ‘sleigh’. I have (and still do) vetoed cars, trains, anything that might be a vehicle of transport for people and I believe I’ve even used the term ‘transport vehicle’. I worried over American history (‘Wagons Ho!’ where people traveled in covered wagons to settle the ‘Wild West’.) I even considered…absurdly…substituting the antiquated term ‘wain’. But I returned to common sense. Would I classify a supermarket shopping trolley as a ‘vehicle of transport’? A modern suitcase with wheels? The handy trolley I used to use to take my computer to the local repairer’s? A wheelbarrow? No, I wouldn’t. I wouldn’t even consider a skateboard in the category of ‘transport vehicle’, though it  certainly is a form of transport. Your other point, about the relative brevity of this verse as a ‘long’ verse is a good one, and it’s a point I considered and weighed as well. But padding this verse out with extra syllables would be a crime, would ruin it. For me, the verse is full of a vast emptiness which would be diminished by adding syllables. It’s a case of form supporting content. I also note that we have a relatively ‘long’ verse in Simon’s maeku, a ‘short’ verse. The pair, for me, balance each other out. Perhaps in another, more traditional sort of renku, this would be considered a major flaw (despite Basho!) but is a Junicho (developed, along with the Imachi, by Mr and Mrs Okamoto in the1980’s) a modern form of renku where departing from the general rule is more acceptable. Playing the sabaki role is challenging, and especially on an open, online forum with many participants from all over . . . as I’m sure you’ll be finding out in the near future. 🙂 One does one’s best. It really is a balancing act. Just as an aside here, Lorin…where I grew up in a rural area of the US Midwest, hayrides were a summer thing. They were in a hay wagon, formerly pulled by horses, but in my time mostly by tractors. It was an exciting time for teenagers to burrow down and make out, cushioned by hay, under the stars. Nostalgia! I have to say that I agonized about selecting a verse for this spot. 1. I’d asked for a change from the moods of the verses so far because I strongly felt it was needed. Thrill, anticipation, appreciation of natural beauty and wonder in our winter hokku and wakiku. The mundane, slightly comical (and possibly boring to the listener) of a self-absorbed life story told between mouthfuls of food in our daisan. (Brilliant!) The sexual heat of our first love verse conveyed in a whisper. The concerns of a marriage celebrant running late ( & possibly out of breath). The funny, drunk parrots. 2. This verse was specified as ‘all nature’, no overt human presence. No me, my, we, you, he, she, they. No person. Just ‘observer as camera’. 3. No anticipation or foreshadowing of our summer flower verse, or  anything that might limit it. 4. I specifically called for change of syntax and especially no present tense or progressive/ continuous verb. The two verses that best conveyed a change of mood to one of late autumn ( a less than ‘up’ mood. . . we had lovely ‘up’ moods in our hokku & wakiku, we needed something different) for me were Michael’s and Carol’s. Michael used a present tense verb. I don’t deny that a hay wagon, in the context you mention ( a hayride/ summer) would be great fun, just as a sleigh ride would be (with different connotations, of course.) A hay wagon could work well as a ‘prelude to love verse’ and a hayride might be suggestive in a first ‘love verse’. (but not in this renku, which has a sleigh ride) But here’s the thing: context. It would depend on the maeku for link, the uchikoshi for shift and any or all other previous verses for change. Each verse in a renku depends on the context of the other verses. An immobile hay wagon with a few bales of hay on it in a later autumn context is a very different thing with a very different mood to a hayride , in my view. In a ‘closed’ Junicho composed privately, with the ideal 3- 5 participants selected in advance, these things could be discussed before a verse is accepted. In a completely public renku with no limit on participants and no restriction on world region, we don’t have that luxury. What has a (winter) sleigh ride in Poland have to do with a late autumn agricultural hay wagon, immobile, containing a few bales of straw,  and without even a suggestion of people or animals present, in Wales? (The sleigh doesn’t even have wheels! ) In my view, very little. About as much in common as a deserted house and a department store at sale time. The Japanese seem to distinguish between ‘conveyances’ with wheels (carts, wagons) and those without wheels. . .  boats, palanquins. Yes, a hayride would be too close to a sleigh ride for me, both being communal, seasonal rides that people enjoy. As would a ferris wheel ride or a ride through the ‘pirate caves’ in Disneyland. I hope we’ll end up with a good Junicho renku, and an inclusive one. More than that is beyond my capabilities. Lorin, I truly was just throwing this in, as part of the whole…not meaning to question your choice. You have given excellent and very interesting commentaries as to your choices, and they make perfect sense. It’s all I can do to try to write one verse that adheres to the requirements. I can’t fathom trying to sort out the multi-dimensional complexities of the organic development of the whole. Looking back, I can see why you would see my comment as a challenge, and it was ill advised. I am a novice, and have no business chiming in on this at all. I apologize. Hi Judt, no, please don’t take it that way. I didn’t take your comment in a negative way, but as a kind of enquiry and it was a helpful one for me: it helped me clarify in my own mind how distant the mood of Carol’s verse is from other potential ‘hay wagon/ farm wagon’ verses such as your ‘hayride’, and also from our hokku’s ‘sleigh ride’. I saw how good a ‘hayride’ verse could be in a renku, too. . . sort of a nudge to you to try it, in a future renku, if the chance comes up. I , too, am a novice. John asked me, in the latter part of 2016 to lead a THF renku and I declined. (I imagine I’m not the only one!) When he asked me again, in the latter part of 2017, I accepted the challenge because I’ve enjoyed participating & learning in the THF renku to date and because I know, from John Carley, that we need more people willing to act as renku sabaki and that THF needs more people to take on the role, too. But it is a challenge, in many ways, and very time-consuming.